the graceful bending of their stems and the harmoniously tinted nuances of their blossoms." Want something similar in a different size or color scheme? 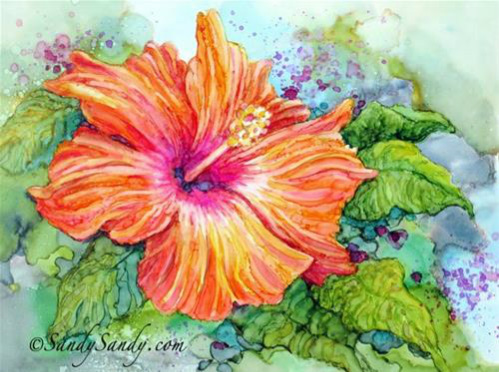 Email Sandy about doing a commission painting at: Sandy@SandySandy.com.